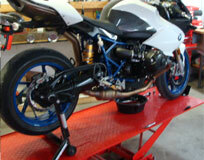 MotoGhost is the only Independent, Exclusive BMW Motorcycle Service and Repair facility in Arizona. 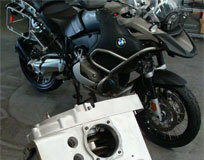 We service and maintain BMW Motorcycles and only BMW Motorcycles! With more than 40 years of combined BMW Motorcycle experience, we offer first-rate service for your machines. Our capabilitys range from having current diagnostic equipment, special tools, and parts for the latest BMWs as well as a large inventory of parts for bikes built since 1970. 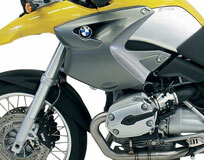 To ensure that your BMW Motorcycles keep running better than they did when new, we use Genuine BMW Parts as well as top-grade-quality aftermarket parts and accessories. Contact us today or stop by our shop to discuss your service needs and set up an appointment. Come by for a visit and cup of coffee. Our staff is happy and ready to answer your service questions. In our showroom you will find Apparel and Accessories to outfit rider and bike and our prices are very competitive, even with prices found online! We carry quality brands including FirstGear, Arai, Vision-X, and much, much more. Check with us before you order from an online store, we might be able to save you money and provide you with higher-quality, newer parts and accessories. Don’t buy a 3-year-old tire from an online store when we offer the same tire that is fresh and competitively priced! 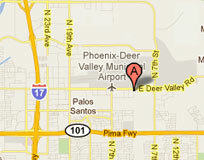 We serve all parts of the greater Phoenix area including Apache Junction, Avondale, Buckeye, Carefree, Casa Grande, Cave Creek, Chandler, El Mirage, Flagstaff, Fountain Hills, Gilbert, Glendale, Goodyear, Litchfield Park, Mesa, Paradise Valley, Peoria, Prescott, Queen Creek, Scottsdale, Surprise, Tempe, Tolleson, Wickenburg, and everywhere between.